We have several details to consider when producing our feature film Lucky, including crew, props, locations and scheduling actors. It’s a considerable amount to handle on top of learning lines since I will also be in front of the camera when I’m not behind it. There is a deadline for this film, so we are racing full speed ahead. I read the final script to my boys last week, and they both cried during the ‘all is lost’ moment. It’s a very touching film that I cannot wait to share! If anyone is available to help crew this summer, contact me. We could use all hands on deck as it’s a large undertaking with an incredible cast of colorful characters! This entry was posted on June 8, 2015 at 6:22 pm. You can follow any responses to this entry through the RSS 2.0 feed. You can leave a response, or trackback from your own site. 1 Response to "Scheduling Lucky…"
Hurrah, that’s what I was seeking for, what a material! present here at this website, thanks admin of this web page. Get Updates! Want to hear what's new at Blinking Dog? All the latest news is available on our website and through email. Blinking Dog Productions LLC is run by Brad and Bea Schreiber, graduates of the prestigious film program at The University of Texas in Austin. They have lived and worked in the Los Angeles area for over a decade and produce original content from Commercials to Films. What makes them different is their high quality production skills using a low crew profile, and affordable pricing. 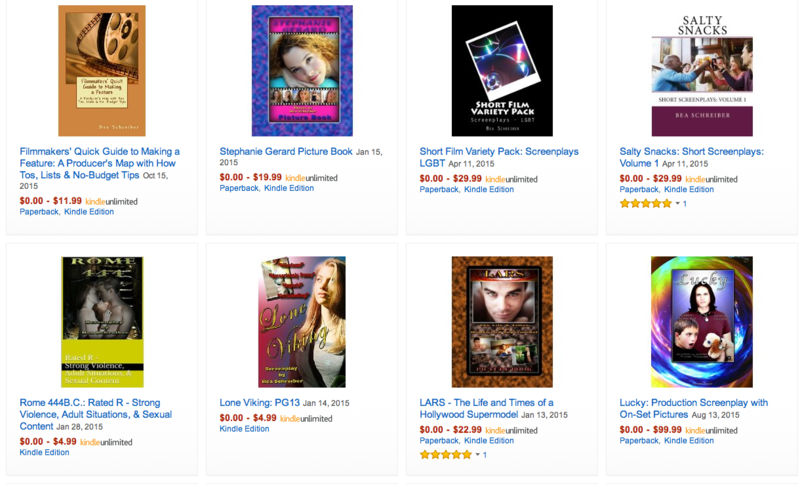 All our films and scripts are available at AMAZON.COM.